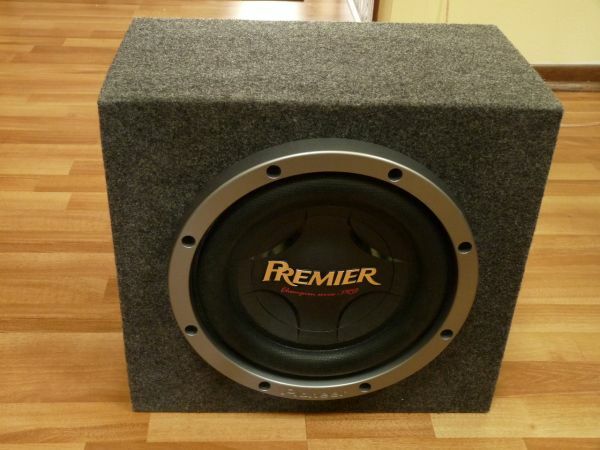 DIY sub ... Just as expensive as buying new! So, I thought, I wonder if I could build a DIY sub myself that would be somewhat equal to these subs I list above. And at the same time, I could save some money by putting it together myself. 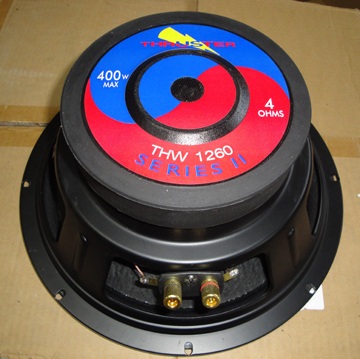 I would be looking for a good quality 12" driver, an amp in the 250 w RMS range, and a box of 3.0 cu. ft interior size. I would need to find a box that has the panels pre-cut to size already, since I don't have any woodworking power tools. Dimensions: 19" x 19" x 18"
Phase Select: 0 - 180? And now I am wondering if my home-brew "Dayton" sub would have the same quality of sound of the Epik Legend, or any of the other subs I listed above? Don't seem to be much of a bargain (or a good idea) to me anymore. Just wondering how any of you folks feel about this? DIY subs in the $500 range are over rated. I think you are better off buying the Epik you referenced. Now a DIY in the $1000 - $1500 range would be sweet IMHO. In your case it would be better and easier to just pick from the 5 subs above. This way all the work is done for you and there's no guessing to its performance as someone has put all the thinking into the sub for you. Well, I don't have anything at all against DIY ... I just thought that buying parts from a company like Parts Express and putting it all together yourself might be a cheaper alternative to buying a new (and proven) design. But, as in the example above ... I would pay just as much as a brand new Legend, and I might not even get as good of sounding sub with my "homebrew" selection of parts. I just used the Legend as an example. I am not committed to that sub. There are other great subs in the $500-$600 range as shown in the subs brands I posted above (and there are many more I did not include). I don't know if I agree... What does the legend weigh in at? 65ish? Your build there weighs in at 90lbs~, I'm pretty sure my LFM-1+ is the 65ish range as well. We all know that MOST of the time weight = better in this hobby, I'm not saying that I'm correct in this situation, but I don't think the dayton build would be a bad performer; I think it would stack up well against any of the subs mentioned above. All, even the DIY route, are good choices. Plus you get the good feeling of going DIY. Good luck. The Legend is 80 lbs shipped .... Maybe 75 Lbs out of the box. It can definitely be cheaper but you have to compare apples to apples. You're comparing a DIY to manufactured subs that have different components and construction. Take, for example, the Ryhtmik F15, you can buy it for around $1100, or you can buy the servo amp/driver DS1505 kit and free plans for ~$630 and spend $200 on cabinet and finishings and be ahead nearly $300. They also have a 12" version that will bring you in near the $500 mark and still save you ~$175 from buying complete. Also look at the Parts express Dayton Titanic kits. They save you a good amount of coin just for assembling it yourself. You didn't checkout the outfit that invented the sub-woofer. I'm sure I could build a box cabinet and have the tools for it. But I believe building a sub box is much harder than slapping together 6 sides panels together. Without paying attention to bracing, the box would start rattling after some burn in hours. And it may never properly sound good if designed wrong. You need some good plans and a proven design or forget it. I've got an HSU STF-2 currently and will be looking at an HSU or Epik sub next for about $500. I don't need the bass a $1K sub would provide, and I couldn't build it for cheaper than $500 as the parent pointed out. Some people love DIY projects, have the tools, the time, and may have done the necessary research already. That's wonderful for them, just not for me. Here is something you might check out. Steve buys up surplus inventory these are new speaker. 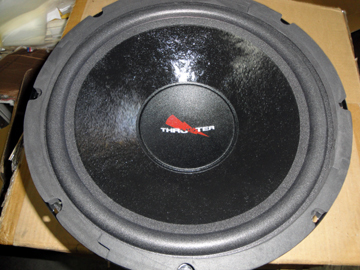 I replaced the woofer on my Warfedale W35's with the NHT 8 inch woofers at the top of the page. Great place to deal with. The last part here is the key. What the op is suggesting is barely DIY. Assembling an essentially ready made kit isn't going to save you much. But if you have tools and time - the two main ingredients - you can save some cash. I have 3 boxes, purchased for 20-40 bucks each. For my car - I experimented a lot to get the sound I want. They are all made of cheap MDF and bad gray carpet. All of them sound great to me, though the size of the box changes the sound a lot. I am sure you would be happy with a self made box, if you know what you are doing. I have found that tube based computers provide the best sound quality. ENIAC and MANIAC I offer a smooth, well defined and articulated sound unmatched by the current silicon based CPUs. But as in all things your perception is your reality. The guy that made that post did really a fantastic job on that pair of subs. I am no speaker builder expert, but I do have some experiance in paint finishing. I would have done it just the way it's done on a car ... After primer and wet sanding, I would use a 2-part paint system ... That is maybe 2 coats of gloss black folowed by at least 4 or 5 coats of clearcoat. Then wetsand and machine buff with a rotary polisher. You get a gloss finish just like on a new car. But, from what I could see in the photos, his way of applying the finish did work out nice too. If I have my car subwoofer, can I buy one of these amps and make a little separate box for the amp and use it to drive the sub? This sub actually has dual 4 ohm voice coils that are wired in paralel, but I can rewire them in sequence to the total load is 8 ohm..
By the way, it is for sale, pm me if interested But would be nice if I can add it to my HT. Well, so much for putting this together myself and saving any money. I am wondering if my home-brew "Dayton" sub would have the same quality of sound of the Epik Legend, or any of the other subs I listed above?